Competing Boats in the 2015 Rolex Fastnet Race are equipped with tracking beacons from YB Tracking. 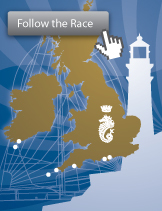 Competing Boats in the 2013 Rolex Fastnet Race are equipped with tracking beacons from Yellowbrick. We have several plain-text options available for competitors, such as MaxSea, Expedition and other low-bandwidth formats. Competing Boats in the 2011 Rolex Fastnet Race are equipped with tracking beacons from Yellowbrick.